Spread cracker with cream cheese spread. 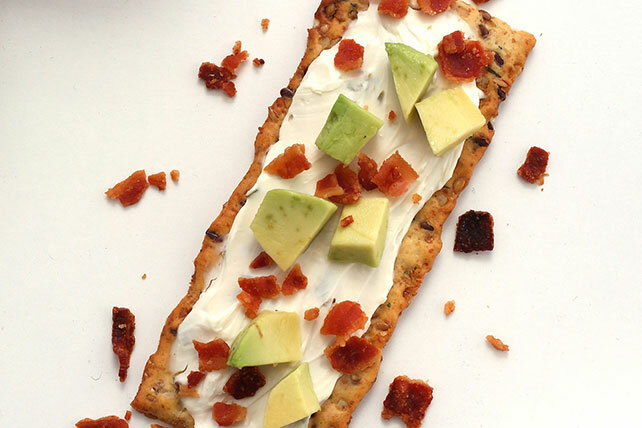 Top with bacon and avocados. Prepare using unflavored PHILADELPHIA Cream Cheese Spread.